WASHINGTON — The National Oceanic and Atmospheric Administration awarded more than $8 million in contracts this week to three companies in the second round of a commercial satellite weather data pilot program. In the Sept. 17 announcement, NOAA said it was issuing contracts to GeoOptics, PlanetIQ and Spire to provide GPS radio occultation weather data from satellites currently in orbit or planned for launch in the coming months. 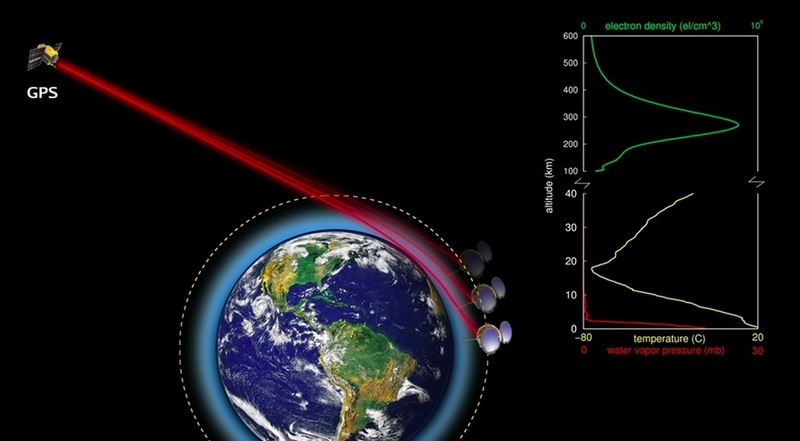 That technique measures the refraction of GPS signals as they pass through the atmosphere and are received by the companies’ satellites, which can provide temperature and pressure profiles to support weather forecasting models. The awards represent round two of NOAA’s Commercial Weather Data Pilot program, an effort by the agency to experiment with buying data from commercial providers to determine its usefulness, as well as to examine various technical and programmatic issues with such data buys. In round one of the program, NOAA awarded contracts valued at a little more than $1 million in September 2016 to GeoOptics and Spire. However, GeoOptics was not able to provide any data because its first satellites had not launched before the window for providing data under the contract closed in April 2017. GeoOptics, which received a $3.44 million contract in round two of the program, now has at least two of its Cicero satellites in orbit, launched as secondary payloads on Polar Satellite Launch Vehicle missions in June 2017 and January 2018. A third awaits launch on a Rocket Lab Electron mission now scheduled for November after a series of technical issues with the rocket. Three others were launched on a Soyuz in July 2017, but are believed to be among the several satellites on that mission that failed after reaching orbit. “We look forward to working with NOAA to demonstrate the power of GeoOptics’ CICERO constellation to deliver reliable, high-quality data for weather forecasting,” said Conrad Lautenbacher, chief executive of GeoOptics and a former NOAA administrator, in a statement. Spire, which did provide data to NOAA under its earlier contract, received the smallest of the three awards, at $1.425 million. However, Spire Chief Executive Peter Platzer said he was not concerned about the size of the contract. Steve Joanis, chief executive of PlanetIQ, said Sept. 19 that the company plans to launch its first two satellites in the first or second quarter of 2019. He did not state when the company expected to have its full constellation in orbit, or its size. Under the new contracts, the companies will deliver data through July 2019, with new “additional operational considerations” regarding the delivery of the data. The agency plans to complete its assessment of the data received and produce a final report by the spring of 2020.